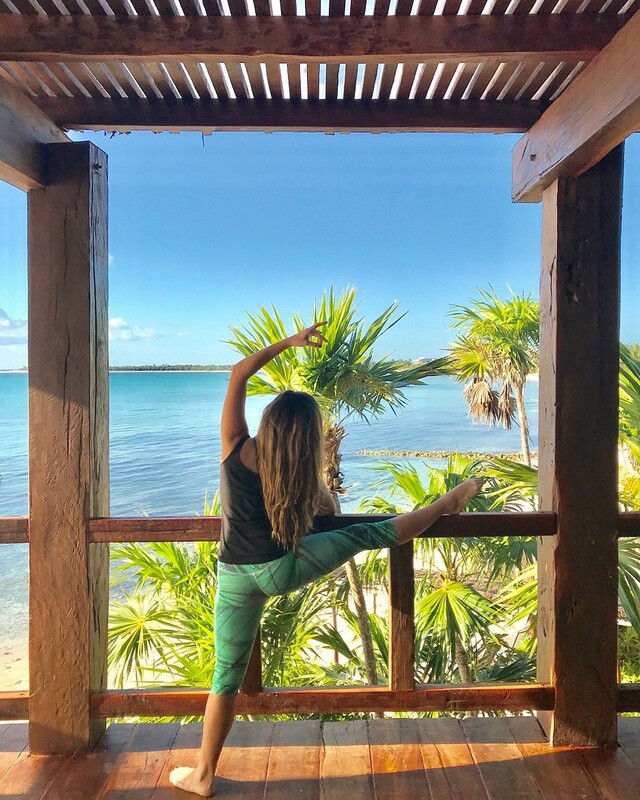 After spending 5 stressful days traveling around Mexico, I wanted to stay at a secluded resort where I could do yoga, eat healthy food and relax. After some research, my assistant and I found Jashita online and booked it. Upon arrival, the lovely concierge’s showed me around the property and I was blown away by the elegance and natural beauty. They have kept everything in its natural state with even the trees growing from the ground through the roof of the restaurant. From hidden hammocks, to a roof top infinity pool, to the glory of Soliman Bay, this is truly a piece of heaven on earth. After being es corted to my room, with fresh flowers, a mini patio pool and ocean view, they brought up a bottle of wine. This is when I turned on Gypsy Kings and did my happy dance…lol. They even have a trendy beach bag and towel for guests to use around the property. This place is all about the elegant details. They don’t miss a thing. That evening I had dinner at their Sahara Café and they were making homemade pasta right in front of the guests. You bet this Italian girl was sooooo excited. The pasta tasted like I was in Italy and the service was impeccable. The next night I had fresh fish they cooked on the grill with potatoes and asparagus, which was equally as amazing. The breakfast is also something to rave about. You have the option of 3 freshly squeezed juices, a homemade croissant and bread, fresh fruit and various egg dishes (my favorite was the huevos rancheros). N ow for the yoga! They have a gorgeous open air yoga studio right on the beach. There is nothing better than doing yoga while looking at the sea and listening to the waves crash. The instructor was fantastic and played the flute for shavasana. I also enjoyed an amazing massage in their beach front spa. Yes…epic! The beach at Jashita is private so it’s never crowed. I felt like a princess walking around with loads of beautiful places to read, write and meditate. They also have free paddle boarding and snorkeling equipment so I enjoyed doing both. While I was out paddle boarding, I saw a turtle and tons of fish, it was incredible. 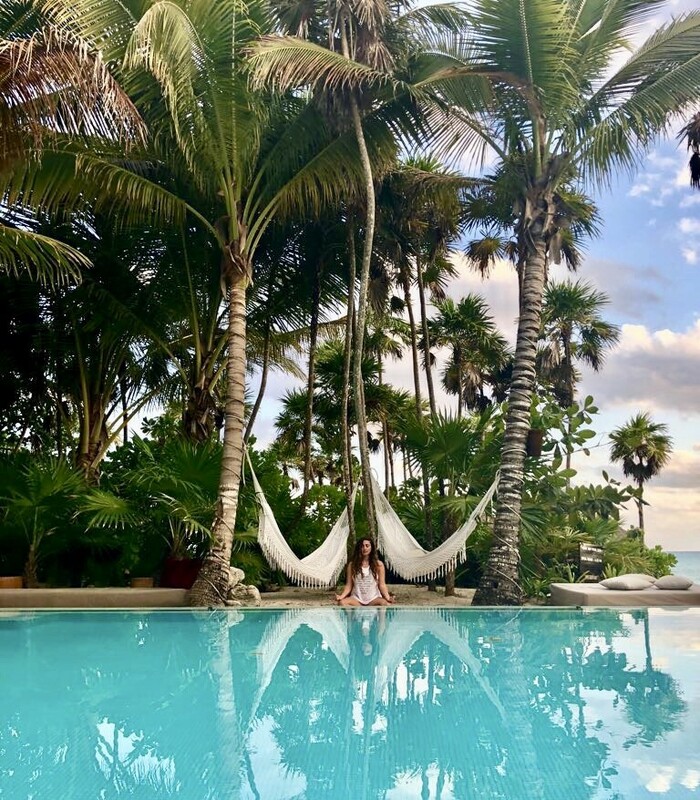 Soliman bay is where the resort is located and is one of the few places in the Riviera Maya where you get a sense of relaxation, solitude and privacy. Yes, this is a piece of heaven on earth and I loved every minute of it. For More Info On Jashita, Visit Their Website! This entry was posted in Uncategorized and tagged activewear, crystal activewear, crystal inspired leggings, jashita luxury resort, jashita mexico, jashita resort, jashita tulum, luxury resort in tulum, mexico, soliman bay, travel mexico, travel tulum, tulum, yoga gear, yoga retreat, yoga wear line, yogi paradise. you? I wouldn’t mind creating a post oor elaborating on many of the subjects you write related to here.